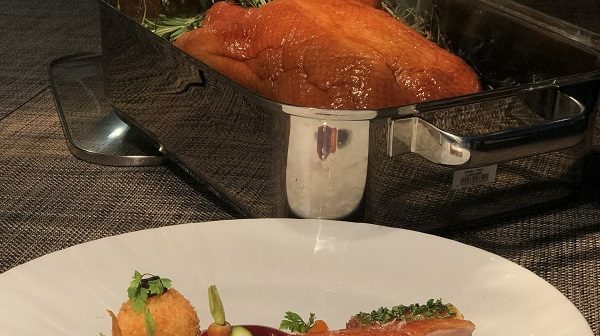 Element, a restaurant-bar at Amara Singapore in Tanjong Pagar, introduces the highly fancied Honey Roasted Challand Duck on its ala carte dinner menu from 15 October 2018. Known as Challans duck in France from, yes you guessed it, Challans, the ducks are uniquely renowned for their lean and tender flesh and are specially imported into Singapore. 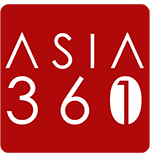 This dish won young Chef Jason Tang an award at the Food and Hotel Asia 2018 Culinary Challenge so you know you’re in for a treat. 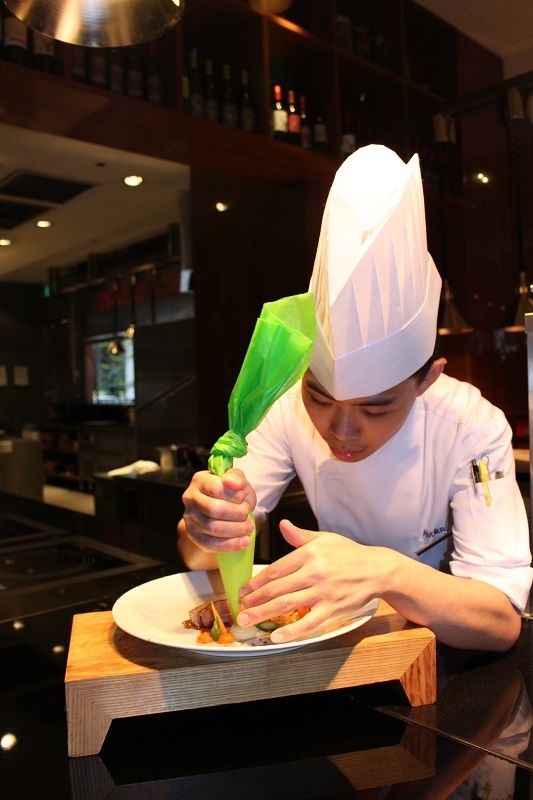 Chef Jason marries Chinese ingredients, especially the use of parsley to bring out the flavour of the duck, together with European culinary methods to create this award-winning dish. With duck, you sometimes get a slightly gamey taste which is why it’s not exactly the poultry of choice for everyone, and lags far behind the ubiquitous chicken in popularity. 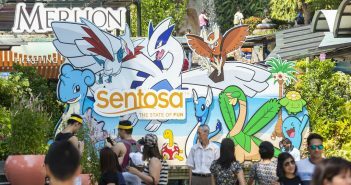 The Challans duck with its unusual tenderness does not share this problem. The meat has a smooth texture and is very juicy. 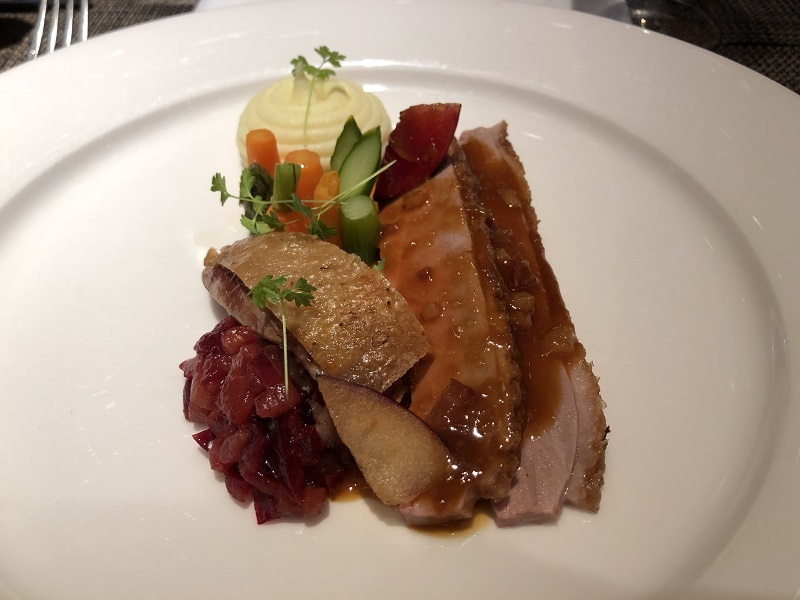 Every part of the duck is used in the cooking process – from the duck leg confit and duck breast cooked in its own fat, to the sauce made from duck bone. The light and crispy duck skin is brushed with honey to evoke the sweetness found commonly in Chinese dishes, and then smoked over dry hay to bring out that earthy aroma. The portions feel a bit small given the price tag of SGD 44 for the dish, but ok this is quality duck after all. 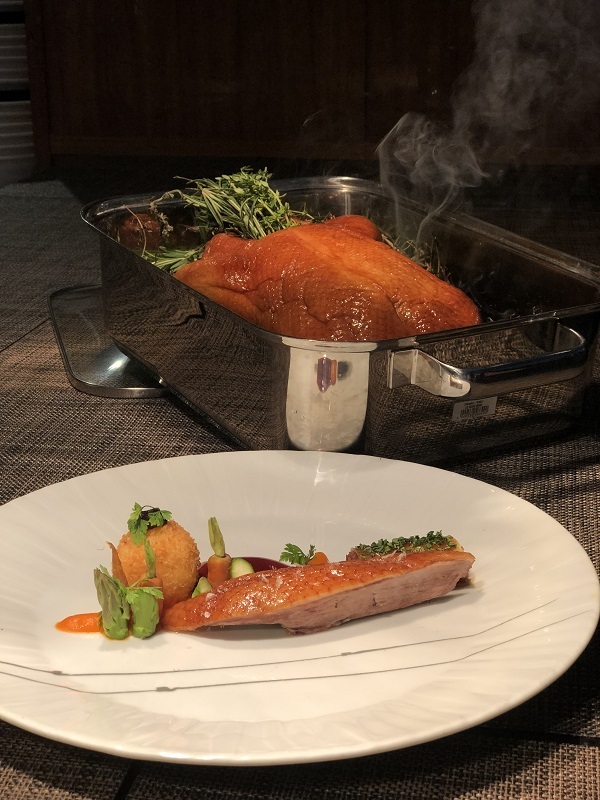 The Honey Roasted Challand Duck is subject to availability so be sure to call in advance to check! Kurk is an aspiring writer who wishes he could speak every known language in the world. He does, however, have the supernatural ability to read minds, and knows you just went “yah right”.